If you want a lightweight straw the Atwood Hat Company Bosque Cowboy Hat is for you with a 4 3/4 inch vented crown and 4 1/4 brim. The hat band is also a nice touch. 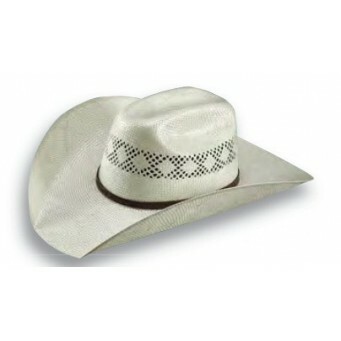 What a good looking straw hat!